Triqo is a new construction toy that consists of only 19 different parts that are clicked together by way of bulges and holes. 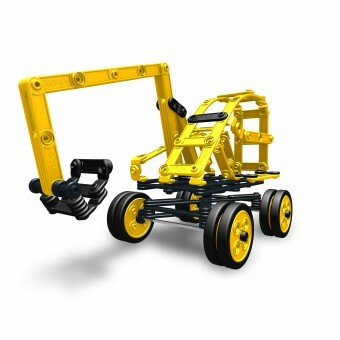 The 19 parts consist of flexible rods of variable lengths, arches, wheels, tires, hinges and connectors. 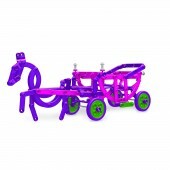 The flexible rods give the toy an unique aspect and combined with 10 attractive colours, Triqo appeals to both girls and boys alike. Triqo is designed and produced in the Netherlands. Triqo is evolved from the original abstract triangle and square construction elements that were launched in 2011. The design of the new elements took place in 2012, resulting in prototypes in 2013 and the launch of the complete new construction toy at the most prestigious Toy Fairs in Hong Kong and Nuremberg early 2014. 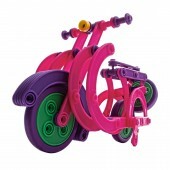 Triqo Construction Toy by Triqo Bv is a Nominee in Toy, Games and Hobby Products Design Category. · Click here to register today inorder to be able to view the profile and other works by Triqo BV when results are announced. Triqo Construction Toy by Triqo Bv is Winner in Toy, Games and Hobby Products Design Category, 2013 - 2014. · Press Members: Login or Register to request an exclusive interview with Triqo BV. · Click here to register inorder to view the profile and other works by Triqo BV. 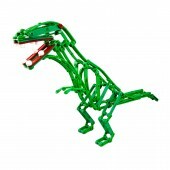 Did you like Triqo Bv's Toy Design? You will most likely enjoy other award winning toy designs as well. Click here to view more Award Winning Toy Designs. 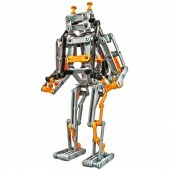 Did you like Triqo Construction Toy? Help us create a global awareness for good toy design worldwide. Show your support for Triqo Bv, the creator of great toy design by gifting them a nomination ticket so that we could promote more of their great toy designs.